\r\n Wind farms are areas where many large wind turbines have been grouped together to “harvest" the power of the wind. These large turbines look a bit like super-tall, futuristic windmills. A large wind farm is the combination of many individual wind turbines distributed over an extended area, but the land between the turbines may be used for agricultural or other purposes. 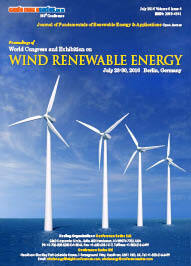 For example, Gansu Wind Farm, the largest wind farm in the world, has several thousand turbines. A wind farm may also be located offshore which refers to the construction of wind farms in large bodies of water to generate electric power. These installations can utilize the more frequent and powerful winds that are available in these locations and have less effect on the landscape than land based projects. 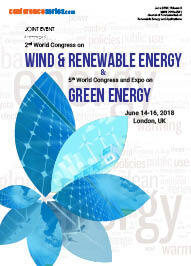 Main challenges in the wind and renewable energy nowadays is cost, occupancy of land and environmental hazard due to the higher voice pollution. Wind power must still compete with conventional generation and Renewable resources requires a higher initial investment to reduce the cost effect. Good wind sites are often located in remote locations, far from cities where the electricity is needed. Transmission lines must be built to bring the electricity from the wind farm to the city. However, building just a few already-proposed transmission lines could significantly reduce the costs of expanding wind energy. Installation of wind turbines in the suitable land must compete with alternative uses for the land. Turbines must not cause noise and aesthetic pollution. Although wind power plant have little impact on environment than conventional power plants, Although turbine blades could damage local wildlife. Birds have been killed by flying into spinning turbine blades. Most of these problems have been resolved or greatly reduced through technological development or by properly siting wind plants.